Identify an object's location on a number line. Develop strategies for estimating distances. Estimate distances using various measurement units. Convert from one measurement unit to another. This CER worksheet allows students to collect information for the best units of measurement for measuring... (more) distances between two locations. They state a claim answering the question, "What units are best to measure the distance between New York and Paris?" and support it with evidence and reasoning. I have converted this Imperial measurement lesson as best I could to reflect Metric measures. This is a customized exploration guide that incorporates the original guide with extras that make the Giz... (more)mo suitable for basic high school students. The first seven questions are to be done together. The remaining questions the students will answer on their own. Great way for teaching addition, ten times as much and one tenth of as much! Fun for students, and great for number line and measurement understanding. This is one of the most motivating Gizmos! Kids love it. This Gizmo is terrific for number line estimation, estimating distance, converting units of measure! Students loved it! They also learned about the two different units of measurement between the United States and Canada. Great for fourth grade math! One of my new Favorites. 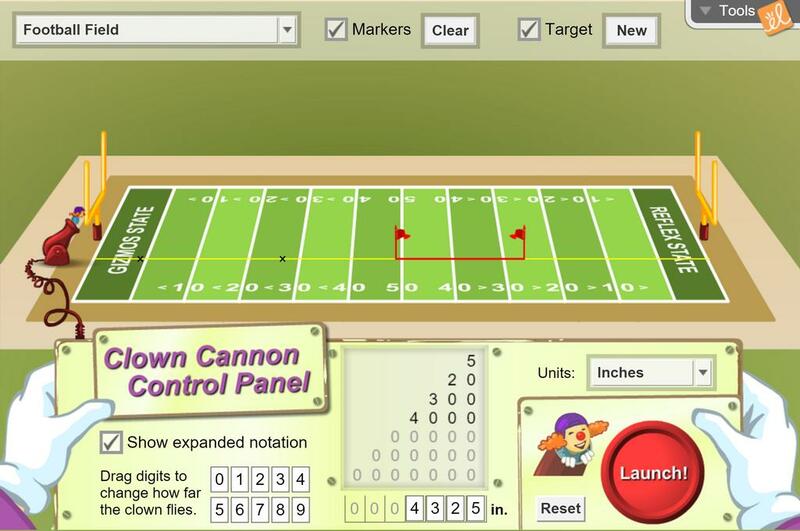 Easily teaches expanded notation, estimation and measurement conversions. Great gizmo for teaching number line estimation. This is a great Gizmo for estimation, place-value and comparing the Standard and Metric Systems of measurement.